"The next time you are feeling bored, despondent or irritable, try to remember your cosmic situation; at this moment you are riding on a big round-shaped rock that is hurling through space, spinning around its own axis at about a thousand miles per hour and spinning around the sun at approximately 66,000 miles per hour. Along with our entire solar system, you are also soaring through the Milky Way galaxy at nearly 500,000 miles per hour. And what’s truly remarkable is that you don’t even have to hold on." I recently went to the planetarium in San Francisco. I saw an incredible astronomical show about the creation of our sun. I learned that the sun is actually a star and that it is the nearest star to earth. I also learned that it was created 4.6 billion years ago. And it will burn itself out in another five billion years. Fascinating numbers, but I could not wrap my mind around them. They were talking about billions of years ago and billions of years into the future. I couldn’t even imagine what one million years would look like, let alone billions. It made me realize what a small speck we are in the history of our vast universe. And how trivial some of the things we concern ourselves about really are. It also helped put my losses, which seem so overwhelming at the time, in perspective. You may feel that your loss is the largest thing in the universe. In time, and with perspective, your loss will take its proper place in your life. Today is a momentous occasion. My 17th book, Learning to Laugh When You Feel Like Crying, has been published by Goodman Beck Publishers. I am very grateful to be with them. They have not only done a great job of producing a great looking book but they are also wonderful people to work with. In the posts to follow, I will be sharing some of the contents of the book with you. The hard part is choosing what to share. Since I'm a Broadway musical fan, I'm going to take some advice from one of the songs in The Sound of Music and "start at the very beginning, a very good place to start..."
So, here, from Learning to Laugh When You Feel Like Crying, is part of the introduction to the book. a few tears of spirit, in with the sequins and the fringes." When my wife died at the age of thirty-four, I didn’t need a book that tried to explain the complexities of grief. I didn’t need a book that spoke to my head. I needed a book that would offer a few comforting words and speak to my heart. It is what I hope this book will do for you. With simple words and simple, yet profound, ideas, I hope that it will provide comforting heartfelt thoughts and a lighter tone not found in other books on loss. I also hope that it will show you that there can be a positive side to loss and help you understand that, although your loss is a life-changing experience, it need not necessarily be a negative one. And because of life’s brevity, that a loss can be a powerful wake-up call to celebrate life. Please note that I am not advocating avoiding the grief caused by loss or rushing through it. Unexpressed grief can come back again with a stronger force. It is important to fully deal with the grieving process after a loss. However, my intention in writing this book is to help you go beyond your loss to embracing life fully again, and, yes, even laughing again. And, to help you go from merely surviving to thriving. Also, I hope that it will uplift your spirit, touch your heart, and nourish your soul. 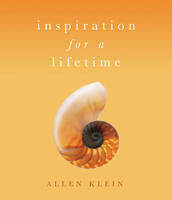 Over the past seventeen years, Gramercy Books (a division of Random House) has published a number of my quotation books. The gift-type books did really well for them with sales of over 400,000 copies. Then, about two- years ago Random House closed the doors to that division. I managed to get the rights back to the books but I had difficulty selling them to other publishers in spite of their track record. social media guru, for a long time and wanted to hear him speak. At the event, I took a seat on the aisle. The man next to me was turned around and chatting with two women behind him. He was trying to sell them his idea for a book. They weren’t interested because, as I overheard, they were starting a new division of their company and looking for books that uplift, inspire, enlighten, and bring joy to readers. When I heard that, I immediately introduced myself to the two women and told them how well my books fit within their mission. They gave me their card and asked me to send them the books. When I saw where their office was located, I knew I found the perfect publisher. They were only five blocks away from where I lived. So I hand-delivered the books the next day and the rest is history. The publisher was Viva Editions. 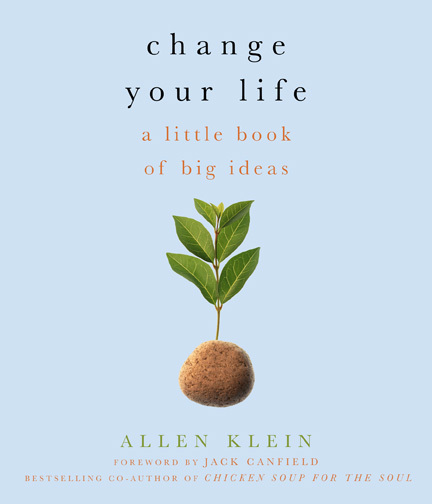 They have published two of the books, Change Your Life! 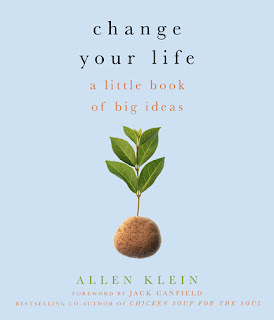 A Little Book of Big Ideas, and, Inspiration for a Lifetime: Words of Wisdom, Delight, and Possibility. They do a remarkable job of not only producing stunning books but also getting the word out and selling the book. For example, Change Your Life! is in Hallmark stores across the county. I am so grateful to be working with Viva Edition. And, I’m grateful to NCBPMA for providing the space for the perfect publisher to find me. Shortly after I signed the contract with Viva, they moved their offices to Berkeley. At the opening party, a woman came up to me and said that she was the owner of Viva Edition and that she was delighted to have me as one of their authors. She also told me that she now lives in London, and that she knows me. Since I didn’t know her, I asked how she knew me. She said that for thirteen years she lived across the street from me and saw me walking my dog everyday.